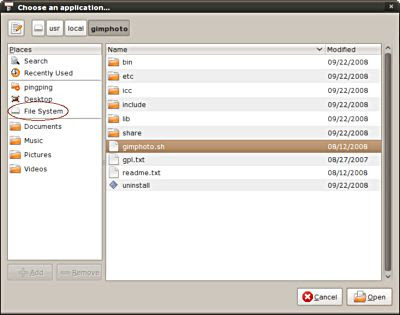 After installing Gimphoto for Linux, maybe you realize that Gimphoto program installer not automatically creating program menu for Gimphoto. Actually Gimphoto program installer is creating menu but the menu is only available when we login as root. This happen because we must installing Gimphoto as root to be able to install it at /usr/local/gimphoto and appearently Installjammer doesn’t support to create program menu for all users, but only for active user. 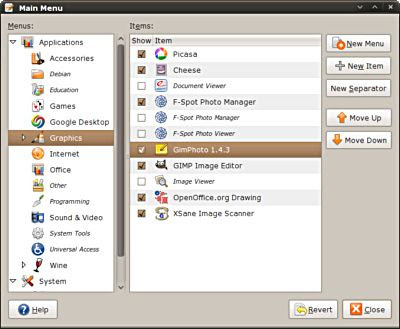 So Gimphoto program menu should be created manually and for this example, i will use Ubuntu 8.04 but this steps should be same for all GNOME based Linux distro. 2. 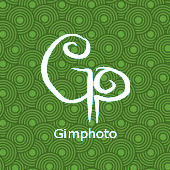 Click sub-menu where Gimphoto program menu will be located [ Graphics ] and then Click [ + New Item ] to create new menu. 3. 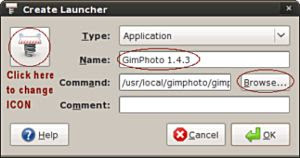 Create Launcher dialog will appear, fill Name: Gimphoto 1.4.3 and then Click [ Browse... ] button. 5. Then will appear new Gimphoto program menu, Click [ Close ]. actually you can also change gimphoto.sh to be executable from Nautilus using File > Properties > Permission at option "Allow executing file as program"
I didn't select the .sh file 1st time out in ubuntu mainmenu system. 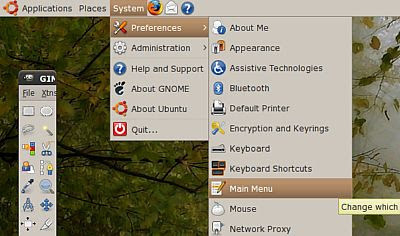 As a result it boots the GIMP2.6 GUI and not the gimphoto GUI. Should I uninstall both gimp and gimphoto? 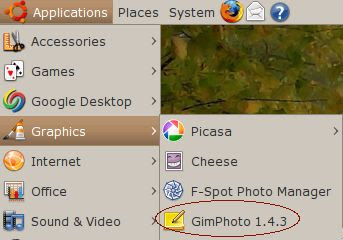 or what eles can I do to get the gimphoto GUI to show? 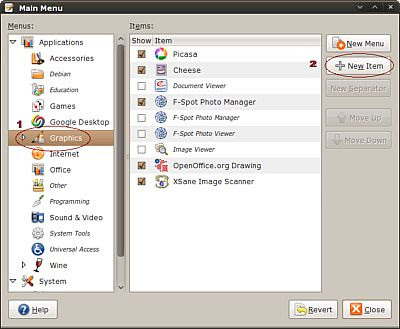 you only need to remove gimp user profiles that located at your home directory, use Nautilus > Menu > Enable [ ]Show hidden folder and files. you can see it in folder with name something like .gimp-2.4 (maybe you want to backup it first), be careful not to mixed it with gimp 2.6 user profile.